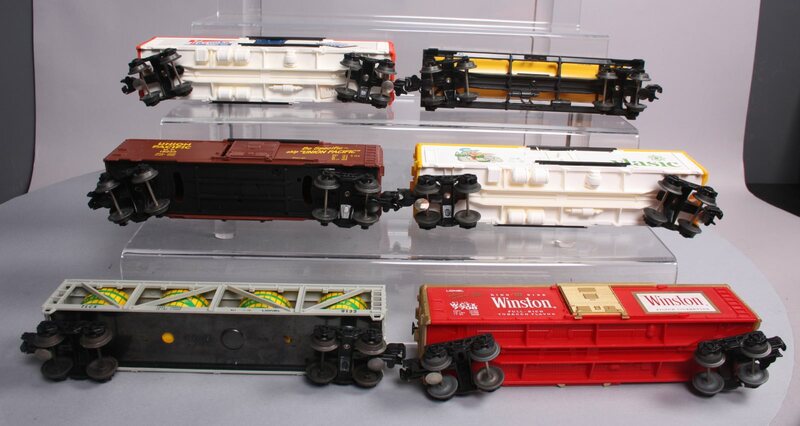 Here are  Lionel O Gauge Freight Cars. 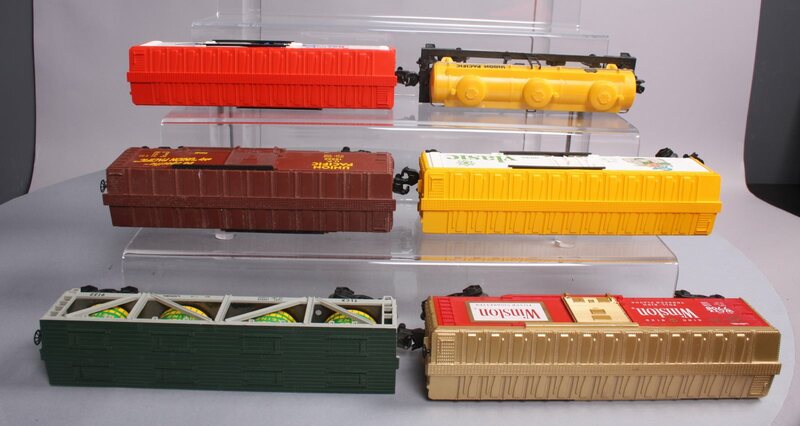 Each car features plastic trucks, operating knuckle couplers, metal wheels and axles. 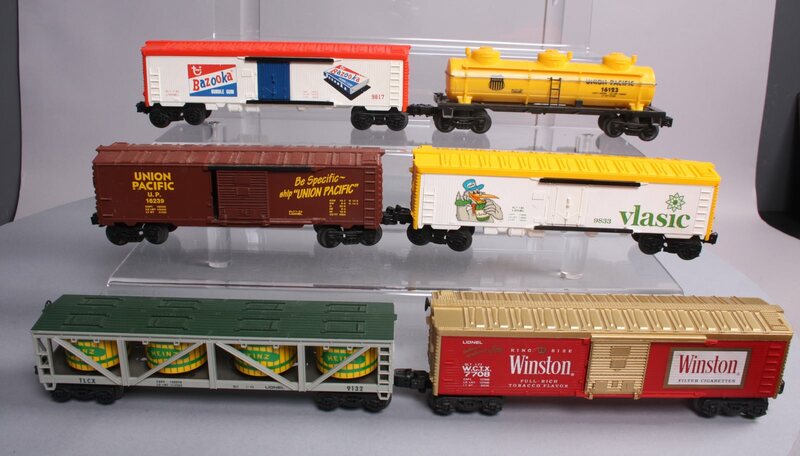 Please see pictures for included cars. This item has been graded per TCA standards C-6: Very Good. These cars have a couple minor scratches and light nicks on the bodies. There is a little dust and dirt build-up as well. 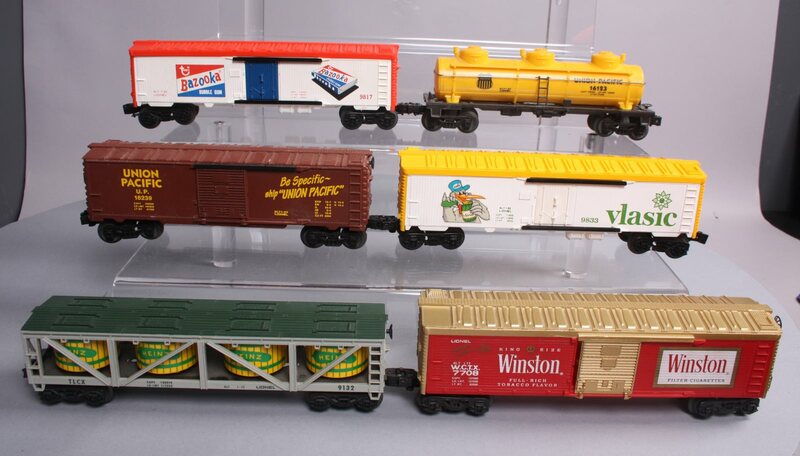 The original boxes are not included. Check the photos for a detailed look at this item. Overall condition is Very Good. The Trainz SKU for this item is 4252950.